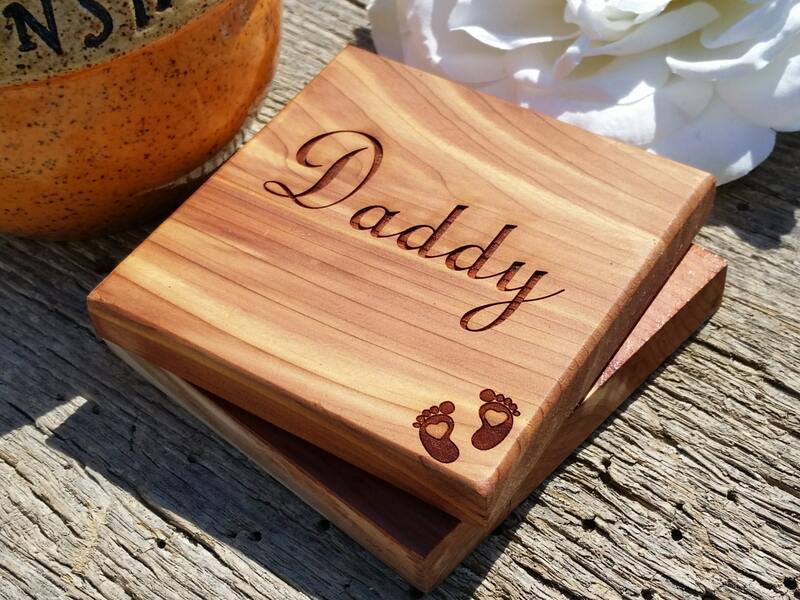 Looking for a beautiful keepsake custom gift for the first time Daddy? Our coasters are hand crafted and laser engraved by us in the beautiful USA. 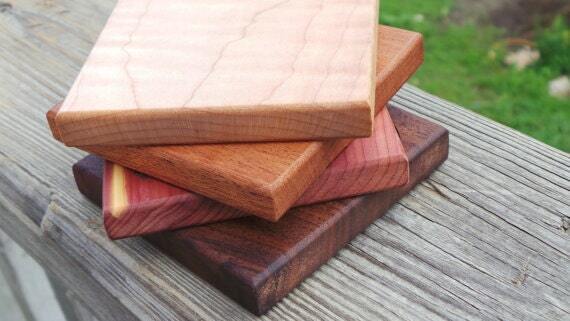 Coasters can be made out of Eastern Cedar (shown #1 photo), Bamboo ( 2nd Photo ) Black Walnut, Maple or Mahogany. 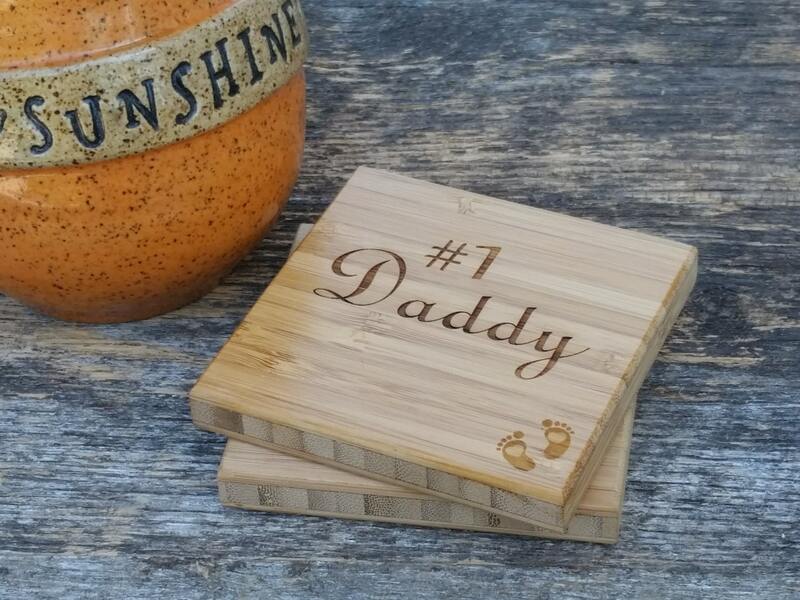 Let us know if you would like Daddy or #1 Daddy on the coasters or how you would like it engraved.